Short guide to hatching baby mantises. Building a fun mantis habitat. 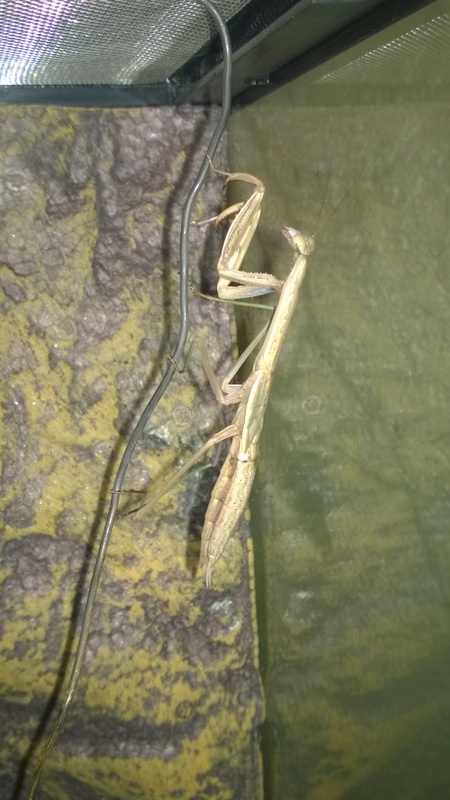 A mantis can see about 60 feet. When I walk into the office any of them with a line of sight will turn immediately to see if the movement coming in is a threat or not. And since they have a field of vision around 280 degrees, "line of sight" covers a wide range. One of my other office pets in 2014. Spazzy stayed much smaller than his case-mates and had much darker coloring. Just finished the final molt -- you can see her wings are fully formed now. Polly going for a little walk around the office. This is Polly, climbing easily on a 14 gauge wire. The mantises love to hang out in the money tree and they'll always lap up a few drops of water to wash down the crickets. 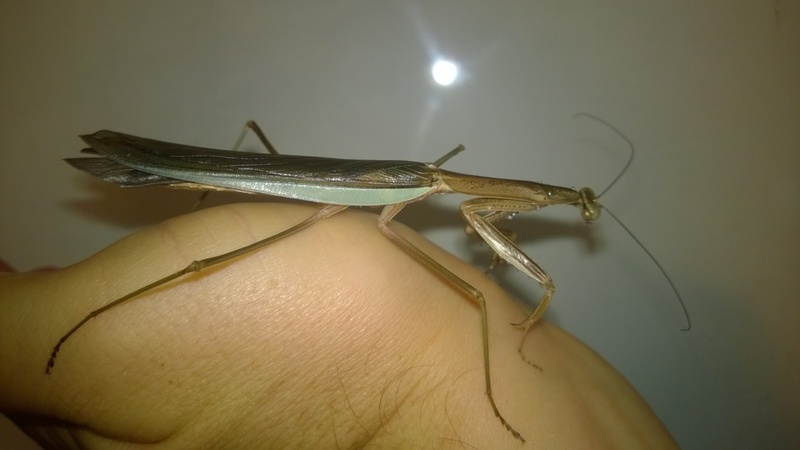 I found that mantis feet are sufficient to trigger hyperlinks on my Dell touchscreen when this one (I think it was Squintymodo) started buying gold on Reddit. People ask all the time whether the mantises will bite a person. No -- they're perfectly harmless to a person. My girls love playing with them. If the mantis gets frightened by something as large as a person, they'll ether run away or play dead. Their feet are just amazing. They can easily walk straight up glass, a painted wall, nearly any surface. The only thing I've seen them struggle with is the plastic lid of a humidity dome. 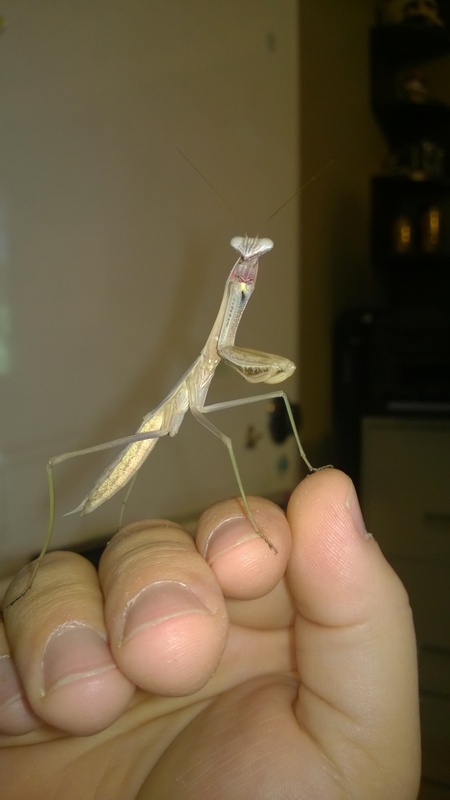 That didn't happen until the mantises were fully grown, either, so I suspect the weight had something to do with it.